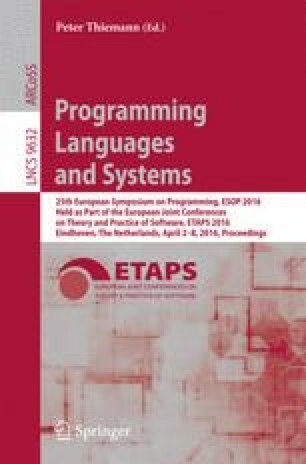 This paper presents a new language for network programming based on a probabilistic semantics. We extend the NetKATlanguage with new primitives for expressing probabilistic behaviors and enrich the semantics from one based on deterministic functions to one based on measurable functions on sets of packet histories. We establish fundamental properties of the semantics, prove that it is a conservative extension of the deterministic semantics, show that it satisfies a number of natural equations, and develop a notion of approximation. We present case studies that show how the language can be used to model a diverse collection of scenarios drawn from real-world networks. K. Mamouras—Work performed at Cornell University. The authors wish to thank the members of the Cornell PLDG and DIKU COPLAS group for insightful discussions and helpful comments. Our work is supported by the National Security Agency; the National Science Foundation under grants CNS-1111698, CNS-1413972, CCF-1422046, CCF-1253165, and CCF-1535952; the Office of Naval Research under grant N00014-15-1-2177; the Dutch Research Foundation (NWO) under project numbers 639.021.334 and 612.001.113; and gifts from Cisco, Facebook, Google, and Fujitsu.